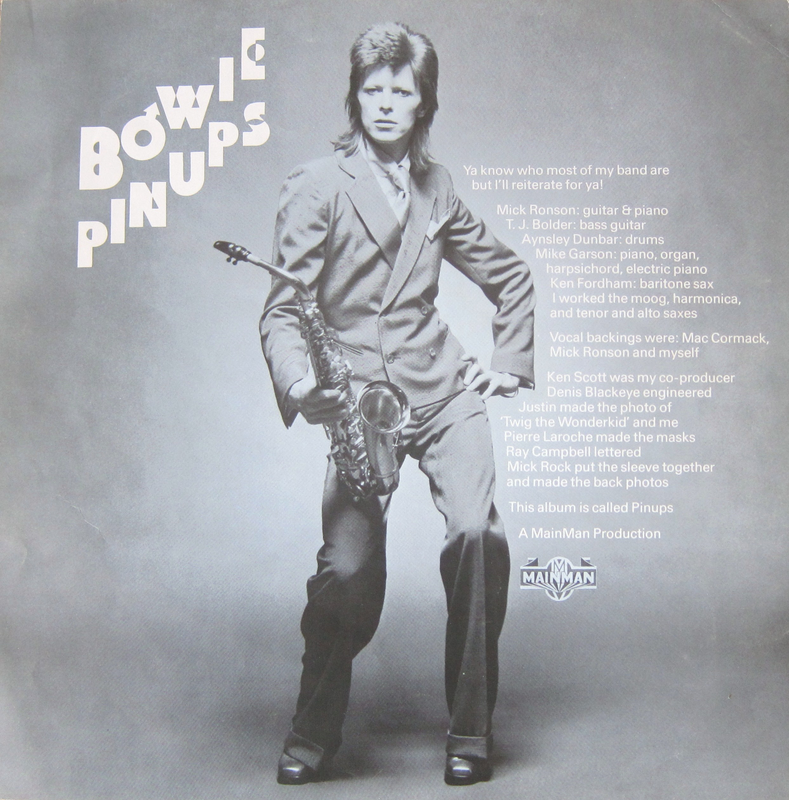 In late 1973, when this album came out, many of us, bathing in the glorious light of Hunky/Ziggy/Aladdin were, to be honest, a bit bemused by this seemingly throwaway collection of covers of (comparatively) obscure sixties rhythm and blues tracks. We made out we loved it, but we didn’t really. 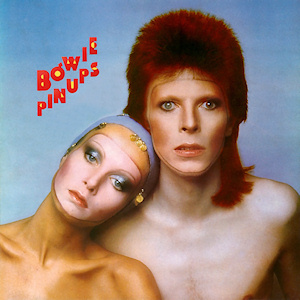 However, as time progressed, I personally grew to love this 30 minute slice of seventies nostalgia for the sixties. The album was hurriedly put out due to contractual obligations to Mick Ronson and Trevor Bolder, the remaining Spiders From Mars who Bowie had legendarily dumped on stage at Hammersmith Odeon in July 1973, I believe. For all that, Ronson still shines brightly throughout. Aynsley Dunbar’s drumming isn’t half bad either. Indeed, it is one of the standout points of the album. 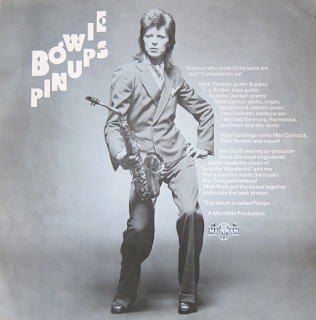 The obvious track everyone knows is “Sorrow”, which charted as a single in late 1973, but there are other appealing tracks - the punky “Rosalyn”, the urgent “I Wish You Would”, the sneering “Friday On My Mind” and the pounding “Don’t Bring Me Down”. The two Who covers, “I Can’t Explain”, “Anyway, Anyhow, Anywhere” and Them’s “Here Comes The Night” are slightly less than convincing, but Pink Floyd’s “See Emily Play” is very impressive. “Shapes Of Things” and the rocking “Everything’s Alright” are more than adequate too. All in all, it is still an enjoyable listen every now and again. An interesting thing to do, also, is make a playlist of the originals. 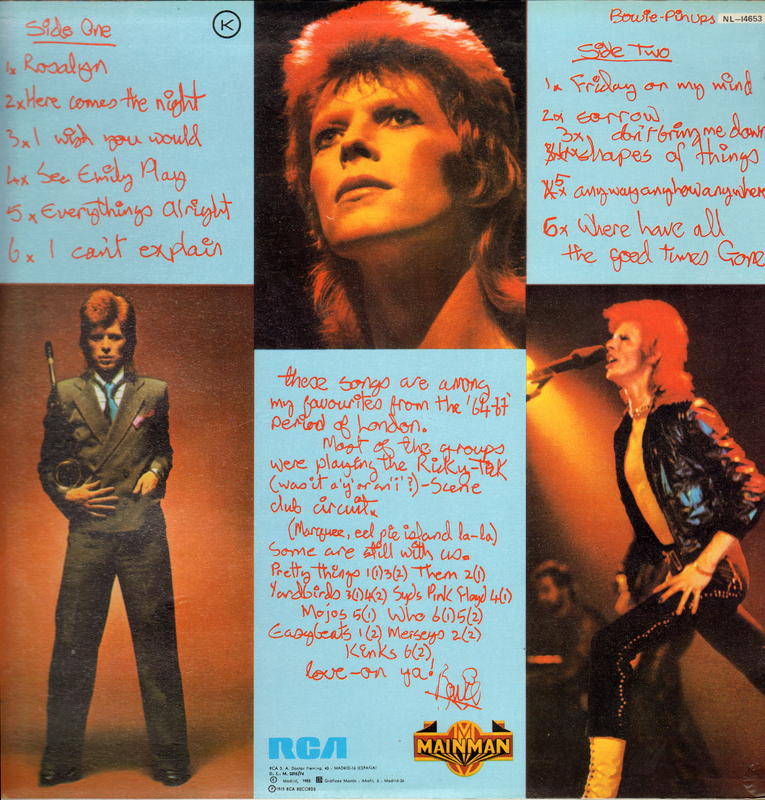 Does Bowie come off best? Debatable. Probably just, because of the better sound quality. Regarding the various remasters around - the EMI/RYKO has the bonus tracks, Springsteen’s “Growin’ Up” and Jacques Brel’s “Amsterdam” but it has a lo-fi, muffled sound, in my opinion.The 1999 remaster is clear, sharp and loud. The 2015 is probably the most nuanced, rounded remaster. The harsh edges of the 1999 master have given way to a slighter quieter, subtler remaster.